From Robert Clyne's album. 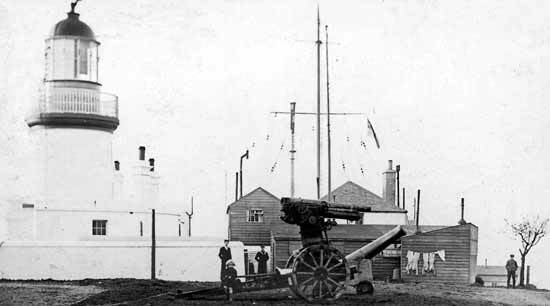 A blown-up extract showing the guns can be seen here. My Uncle Ernest Freestone, was a Coastguard in Cromarty, from about 1948 to 1951, we lived in George Street.